With less than two weeks until the Red Dot Auction, we wanted to share with you the stories of the artists who have donated art work (or in some cases, more than one) to this year's Red Dot Auction. This fundraiser, now in its sixth year, benefits the programs of the Chuck Jones Center for Creativity. Today we feature artist Bruce Berglund.Bruce Berglund started drawing by the time he could hold a pencil. One day Bruce's mother noticed him ignoring a new coloring book she had just given him. When she asked why he wasn't using it, Bruce commented, "I don't want to color someone else's drawings". He started oil painting at age 12 and at college he pursued Advertising, and Graphic Design achieving degrees in both. In 1985 Bruce relocated to Southern California where his steady illustration work won him notoriety as one of the top illustrators in Orange County. Bruce went on to open his own design studio (Berglund Advertising Design) in Costa Mesa in 1989. A portion of his current commercial portfolio including: illustrations, logo designs, advertising and web concepts can be seen on his newly launched website: www.BerglundAdvertisingDesign.com. 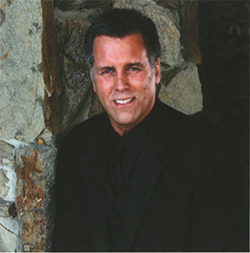 To view his oils (not yet displayed on his website), contact Bruce directly at: 714.545.4948. Will you go home with Bruce's work at this year's Red Dot Auction? Be there to find out. Ticket's available at ChuckJonesCenter.org/RedDot. Pre-bidding is now available at Heritage Auctions, click here to place your bids.